In recent years in Japan, greater focus has been placed on a condition called “joint dysfunction” as the reason behind many people’s back pain, stiff shoulders, and joint pain. This condition refers to when joints responsible for what is called “intra-articular movements” are moved, and the movement that occurs in the adjoining ends of the bone is irregular; this abnormality cannot be picked up by an X-ray, MRI, or any other method of diagnostic imaging. When this joint dysfunction occurs, abnormalities arise on what is called the “joint reflex,” and this leads to hypertonicity and stiffness of the soft tissue surrounding this joint, as well as the tissue and muscles that are connected by nerves to the concerned joint. This is the culprit of the pain and stiffness. Furthermore, for certain circumstances such as “being unable to find any lesions or signs of compressed nerves on the X-ray or MRI, despite presence of pain and/or numbness” and “being unable to get rid of the pain despite undergoing surgery,” joint dysfunction has been identified as the cause in many cases. Moreover, let us look at cases in which the patient was diagnosed with a herniated disc or lumbar spondylosis due to observations of nerve root compression on the X-ray/MRI. For most of these cases, the areas where pain and numbness are felt do not coincide with the areas that the compressed nerves control. This is an indicator that there are other causes. When studied further, it is often the case that one of the joints along the area from the pelvic region to the vertebral region is experiencing joint dysfunction; once treatment is given with this in mind, the pain and numbness disappears. Symptoms of this joint dysfunction are not limited to back pain, stiff shoulders, and joint pain; it could also cause headaches, menstrual pain, as well as symptoms with seemingly unknown causes, such as numbness in the hands and feet, dizziness, and bleariness of the eyes. Additionally, for cases in which joint dysfunction occurs in the joints of the pelvic area, if left untreated, this could lead to degeneration of the intervertebral discs, such as a herniated disc or spinal canal stenosis. Moreover, if it occurs in the shoulder or back, in addition to pain and stiffness in the neck and shoulders, the situation could lead to tenosynovitis, or even expand to the arms to cause medial epicondylitis. From my clinical experience, there have been many cases in which the patient was diagnosed at the hospital as having CRPS, but recovered, or saw great improvements, through treatment of joint dysfunction. The same thing could be said for pain, numbness, and abnormal sensations (burning sensation, coldness) diagnosed as “neuropathic pain,” which is a term that is heard increasingly often these days. For such pain, it is conceivable that the cause of the pain was in the joints and not the nerves, or that the joint-based pain lasted for so long that it shifted to nerve-based pain. However, in Japan, the focus has been on conducting more detailed research on how each joint moves when producing intra-articular movement. This is because to provide better treatment, there is a need to know the difference between the regular and irregular intra-articular movement of each joint. Ever since I had the pleasure of attending Mitsutoshi Uematsu’s lecture entitled “Arthrokinematic Approach AKA,” I began studying and implementing manual therapy methods. Through what I learned from daily clinical experience, I made appropriate improvements to my treatment pattern, which eventually evolved to its current form today. This manual therapy treatment pattern normalizes abnormal intra-articular movement, while also removing the strain from the coinciding soft tissue and muscles. This is a treatment technique that I discovered while implementing manual therapy methods to patients with joint dysfunction. It does not require passively inducing intra-articular movement as manual therapy methods for joint dysfunction require, nor does it pull, stretch, or slacken the joint capsule. Instead, by delivering non-invasive, minute stimulation to the joint nociceptor, we achieve a remarkable pain-relieving effect for those suffering from acute or chronic non-purulent arthritis (or what is called joint inflammation), thereby progressing treatment. This operation is extremely gentle, making it the safest manual treatment option for joint inflammation. 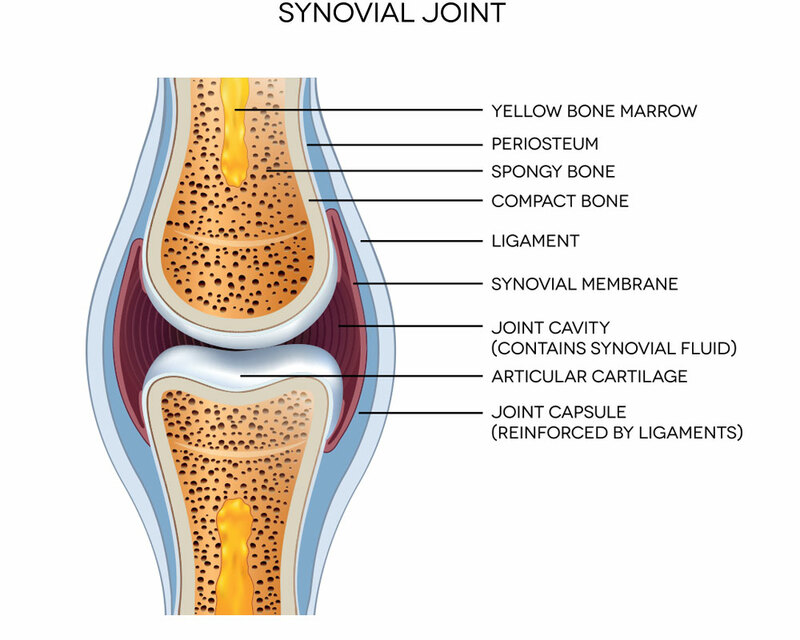 Furthermore, another distinctive characteristic of this technique is that by employing this method, we are able to confirm whether inflammation of the joint actually exists or not, without putting strain on the patient. As the same results cannot be achieved simply by “stroking” the affected area, but only when the joint capsule is specifically targeted, I have theorized that among the deep sensation receptors, the joint nociceptors that exist within the joint capsules are reacting. Moreover, I postulate that by stimulating the joint nociceptors, joint nociceptive afferent excitement can be controlled; or, that by adding more stimulation (non-invasive mechanical stimulation) to the polymodal nociceptors, which are already excited by chemical stimulations resulting from inflammation and/or tissue damage, the excitement resulting from the chemical stimulation could be controlled. Regardless, the pain is reduced or disappears, causing the excitement of the sympathetic nerve to be restrained, thereby improving the ischemia and the accumulation of pain-producing substances in the affected area, allowing the patient to escape from the “vicious cycle of pain.” For pain resulting from joint dysfunction, it can be theorized that strain on the soft tissue that results from abnormalities in intra-articular movement leads to the excitement of joint nociceptors. My manual therapy method that treats this and other pain can altogether be called Joint Nociceptor Excitement Inhibition Therapy.